There’s no question about it – many dogs absolutely adore eating peanut butter. Need some evidence? Google around and you’ll find countless pictures and videos on the net of our canine friends licking peanut butter off spoons, eating peanut butter out of cups and bowls, even trying to get it directly out of the peanut butter jar! Watching their obsession is adorable, entertaining, and hilarious all at once, so much so that Jenna Marbles – one of the biggest YouTubers around – has a dedicated an entire video to her dogs eating the sticky stuff: My Dogs Eating Peanut Butter For 3 Minutes Straight. But what about cats? Can we feed our cats peanut butter, too? 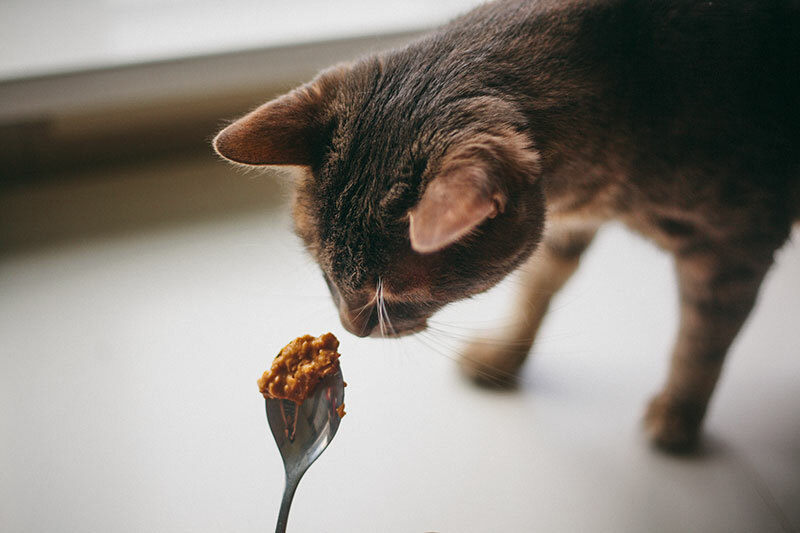 There don’t seem to be many pictures of cats licking peanut butter off spoons and bowls online, but is that because cats aren’t big fans, because they aren’t offered peanut butter, or because it’s actually dangerous for them to eat? Could cats licking PB off a spoon be the next viral fad featuring this amazing lunchtime sandwich ingredient? 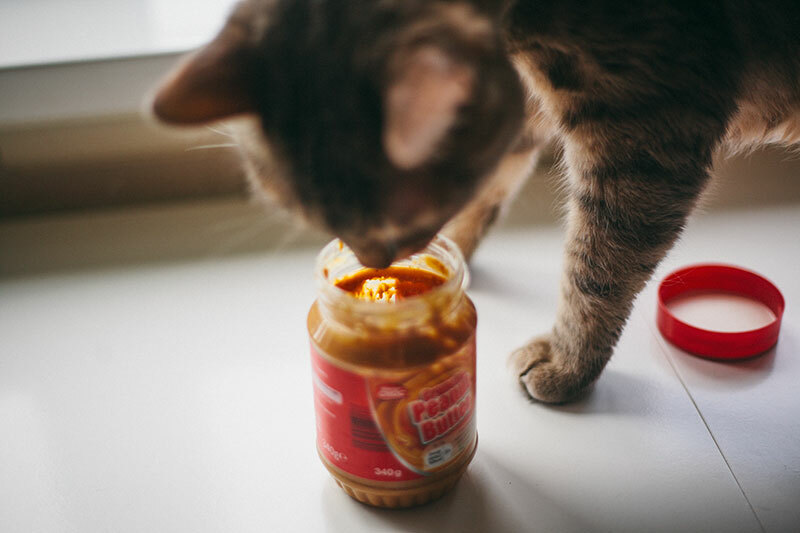 Let’s jump straight into the safety of feeding cats peanut butter, and whether it’s okay for you to offer some to your feline friend as a snack. 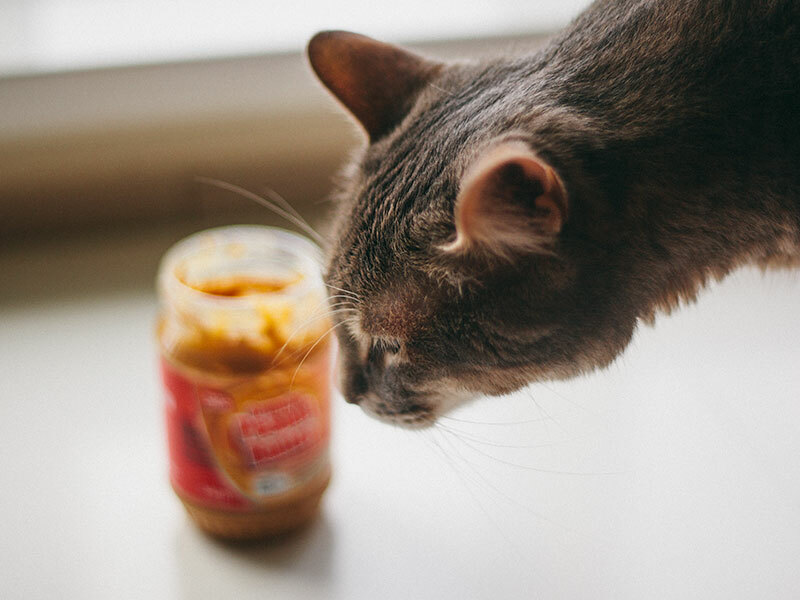 Is Peanut Butter Dangerous for Cats to Eat? 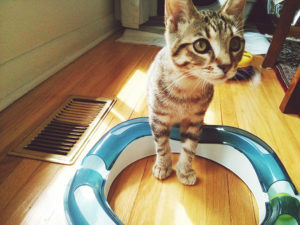 Is Peanut Butter’s Main Ingredient – Peanuts – Dangerous for Cats? The main ingredient of peanut butter, peanuts, are in fact perfectly fine for a cat to eat. 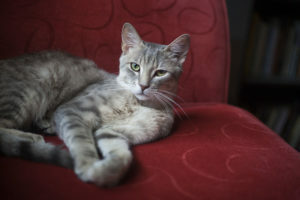 Un-salted, un-flavoured peanuts are non-toxic, not poisonous, and overall not at all bad for cats to eat in small portions – unless of course the cat has a food allergy to peanuts. Make sure you know what a food allergy looks like in cats, and monitor your cat closely the first time he or she has peanuts. That being said, food allergies to peanuts are, from my understanding, extremely rare amongst cats, thus it’s unlikely this will be an issue. First ingredient down, but of course, peanuts aren’t the only ingredient in peanut butter. Time to find out whether or not anything else in PB might posit a threat to our kitties. Are the Other Ingredients Found in Peanut Butter Toxic to Cats? Anything wrong with roasted peanuts? Definitely not. Hydrogenated vegetable oil? Probably not (though correct me if you think I’m wrong in the comments down below). What about sugar and salt? 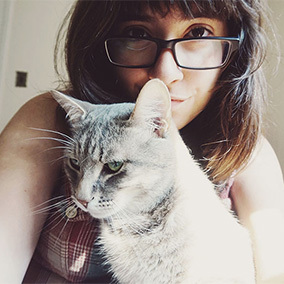 Neither of these are issues to your cat’s health so long as your cat only has them in very small amounts. Too much sugar in a cat’s diet can lead to feline obesity and potentially even diabetes. 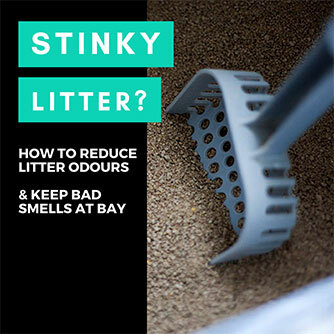 And too much salt can make a cat very thirsty and dehydrated, make him or her urinate excessively, and can potentially even lead to sodium ion poisoning in high enough doses. Obviously, you’re unlikely to give a cat enough peanut butter as a snack to cause any of these problems, but I felt it was importnat to share these dangers so you know not to leave out an open jar of peanut butter on the table while you’re out of the house – especially if your cat develops a taste for the sticky stuff. The ingredients in peanut butter besides peanuts are not harmful to your cat so long as they’re had in small enough doses – such as feeding your cat a few licks of the stuff on a spoon or in a bowl. So Is It Okay to Feed Peanut Butter as a Snack to Cats? Yes, so long as you’re feeding your cat a small snack or a lick off your finger here or there when you make yourself a sandwich, it’s perfectly fine to give cats peanut butter. Can you give your cats too much peanut butter? As I said previously, yes, you absolutely can. So be sure not to overdo it. Since sugar and salt are the problematic ingredients in peanut butter, you could technically go out of your way to make sure you get a peanut butter with as little of these ingredients as possible, but it’s much more effective to simply give your cat less peanut butter, or skip the peanut butter as a snack altogether and find a better alternative your cat will like. 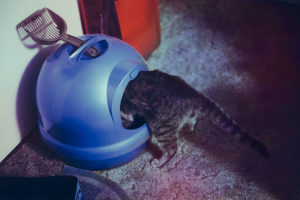 The healthiest option to offer up as a snack to cats is, in my opinion, a healthy kibble that’s different from what you feed your cat as main meal. Feed your cat a poultry-based cat food? 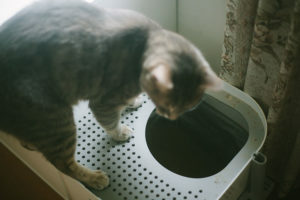 You could try grabbing a kibble made from duck, salmon, or other types of fish instead, so your cat has some variety in what he or she eats to keep things a little more interesting. 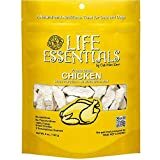 Something similar that I’ve seen a lot of cats go up a wall for – freeze dried fish and meat treats that are 100% chicken or 100% whitefish, for instance. Can’t imagine a cat who’d want to refuse these types of snacks, and since their only ingredient is meat, they can’t possibly be unhealthy for our feline friends. You can also try offering dental treats, since these are specifically formulated for cats to eat. 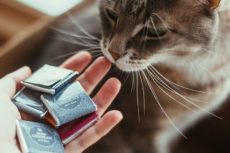 While they may or may not be beneficial for your cat’s teeth, they are likely to be a lot healthier for your cat than human food like peanut butter. Cat obsessed with “human” food and getting his or her paws on something that’s not at all made for cats? Consider giving lettuce a shot. 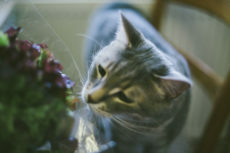 All varieties are safe for cats to eat and feeding your cat lettuce actually has 7 different benefits, including helping your cat stay “regular” in the kitty loo and helping your feline stay hydrated, since lettuce is almost 96% water. 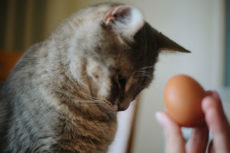 You can also try eggs, as they’re extremely healthy snacks for cats thanks to their protein content and amino acids! Can you give too many dental treats, too much lettuce, or other snacks besides cat food to your pet? Yes, you can – even if the ingredients by themselves are not harmful. 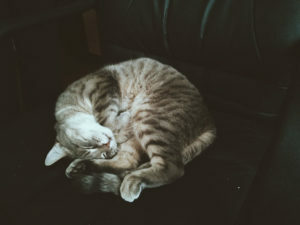 Giving your cat snacks that aren’t his or her cat food is the equivalent to humans eating candy and take out foods – perfectly fine in small doses, but once you have too much, overall health is effected since not enough food with high value nutrients being ingested or too much food overall is being eaten. What you can you do to make sure your cat stays healthy even while snacking is simple: monitor how much your cat eats, and be sure to never give a cat more than 10% of its diet in snacks – which are all foods besides cat food combined. What About Using Peanut Butter to Give Pills – Is That Okay? Since it’s absolutely fine to give cats a little bit of peanut butter as a snack, it’s also absolutely okay to give peanut butter to a cat to help him or her ingest a pill or other medication. At the same time, if you’re worried about the effects of too much peanut butter because you have to give your cat pills quite frequently, you may want to use 100% non-scented petroleum jelly to help give your cat his or her medication instead. Or, try something like Greenies Pill Pockets, which are specially made cat treats with holes in them for you to insert medicine tablets or capsules. 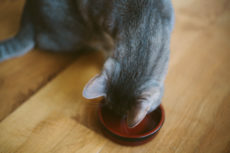 Petroleum jelly, so long as it’s non-scented and has no other ingredients present within it, is a very effective, highly non-toxic home remedy for helping cats pass hairballs, and can be used to make pills go down easier as well. Many cats like the texture (mine sure does!) and will happily eat petroleum jelly on its own, but if you’re having trouble getting your cat to take a lick, you can flavour it with the liquid from wet food, by embedding a piece of kibble in it, or any similar way you can think of. Smells of familiar foods will definitely help your cat associate the petroleum jelly with being edible. Okay, Last Question: Chunky or Smooth? Either is fine! 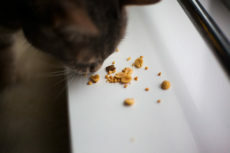 As I discussed in my article about whether cats can eat peanuts, even having a peanut whole is not an issue – though it’s not likely a cat will voluntarily want to eat a peanut that way. There should be no issues offering chunky-style PB to your cat; since he or she should not have issues swallowing the chunks, you’re good to go! Has Your Cat Ever Eaten Peanut Butter? Has your cat ever eaten peanut butter? How did the situation unfold? I’d love to hear if you have any cute, interesting, or funny stories about this! Would you ever offer a little peanut butter to your cat? 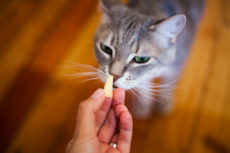 What do you like giving your cat as a snack food? My cat is TERRIFIED of peanut butter. Sounds crazy right? Well it’s true. She smells it and then gags/dry heaves and backs up really fast! Even when she doesn’t lick it she thinks it’s in her mouth and starts sticking her tongue out. It’s really funny and cute, but also sad. I’m wondering if she is slightly allergic to it? I doubt it because she dreams fine after I put the peanut butter lid on. Just thought I would share!! That’s too funny! My cat Avery hates the smell of oranges, and will back up horrified whenever it’s near him. Peanut butter he will sniff and not be interested in but he’s never been scared of it. Maybe she does have peanut allergies; it’s certainly possible. But it sounds more to me like this is just one of those smells she can’t stand. Super interesting – thank you for sharing! We use Trader Joe’s Better Than Peanut Butter spread, which is defatted peanuts. None of the cats seems to care for it; they really want the Sprouted Wheat bread that we use! But, it’s good to know that we can let them have some ‘peanut butter’ without a worry. Oooh wheat bread, huh? I wonder if Avery would like that! He’s become very peculiar about the “people” food he’ll try. Used to eat almost any people food we offered, but now he’s even declining salmon and all fish besides tuna – though he sometimes approves of lettuce; what an oddball!